CREDIT PROBLEMS? OXMOOR CDJR HAS THE ANSWER! Have you been searching for a dealership that offers car loans with bad credit? 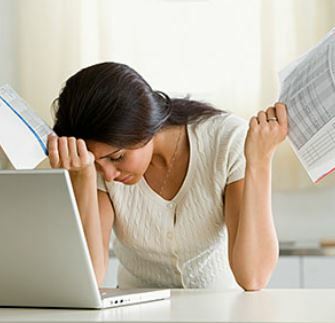 Do you feel that the unfortunate mistakes of your past are now dictating your financial future? If so, you’ve come to the right place. Oxmoor Chrysler Dodge Jeep Ram understands that when your credit score is low, it can make you feel isolated, alone, and helpless. It can be difficult to know who to trust or where to turn. If you are tired of being denied because of your poor credit rating, let Oxmoor Chrysler Dodge Jeep Ram be your oasis in the desert. As a member of one of the oldest and largest auto groups in the state of Kentucky, Oxmoor CDJR has cultivated partnerships with many national, regional, and local lenders to provide you with the most comprehensive assortment of special financing programs available. From local credit unions to regional banks to national finance companies, we have loan programs to fit every possible situation. Whether you are looking for new cars or used cars, our certified financial experts will not only examine your credit history with you – they will offer a comprehensive analysis of your financial profile. Our in-depth knowledge of special finance programs allows us to quickly match you with the auto loan program that best suits your needs while keeping within your specified budget. When searching for auto financing, it is important to remember that credit is not the only factor that lenders consider – especially when the borrower has experienced payment defaults in the past. While some lenders do offer auto financing with no down payment, many require some form of personal investment on the part of the borrower to achieve the very best terms. This investment can take many forms, but is most often down payment money or trade equity. For car buyers with low credit scores, finding cars loans with no money down in Louisville, KY can be exceedingly difficult. That is why it is advisable to begin saving money for a down payment as soon as possible. In addition to making your loan application more attractive to banks, larger down payments also have the added benefit of reducing your overall monthly expenditure. For those people with particularly negative credit issues, another avenue to explore is the use of a co-signer. Many lenders will allow a friend or family member to be added to your loan application. Because co-signers generally have stronger credit profiles, lenders are able to offer borrowers a wider range of financial products at better terms. For borrowers, that translates to less money down, lower monthly payments, and eligibility for finance specials. Best of all, as you establish a history of consistent loan payments, your credit score will eventually improve. 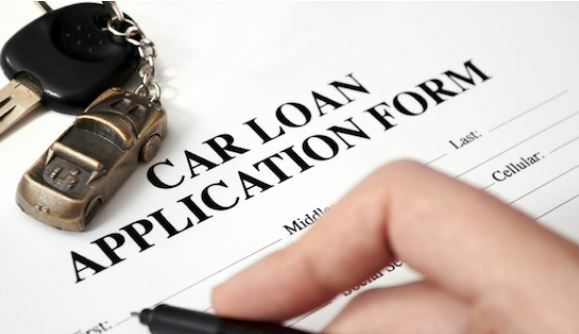 In a very short amount of time, you will be able to refinance your auto loan at more beneficial terms. Here at Oxmoor Chrysler Dodge Jeep Ram, we’ve been privileged to offer assistance to thousands of Louisville car buyers whose credit is less than perfect. We understand that credit problems are often the result of factors beyond your control and not a reflection of your character. Our finance department considers each application very carefully in order to match you with the most beneficial lending program. We understand that you have choices when it comes to auto financing and we’re grateful for the opportunity to earn your business. Whether you’ve recently emerged from bankruptcy, suffered an auto repossession, or you’re a first time buyer with no credit history, we’ll do our best to find you the perfect vehicle at the most affordable terms. To learn more about Oxmoor Chrysler’s subprime or secondary financing options, contact our finance department or simply schedule a test drive today!